The Rio Profits Scam Review - Guess Where It Leads. Unbelievable. The Rio Profits Scam Review – Guess Where It Leads. Unbelievable. “If you can see yourself never having to work ever again, by this time next week, you have just stumbled into paradise my friend.” – Andrew Reynolds, the founder of the Rio Profits Software. Who else wants to stumble into paradise? Hey, wait! Is the Rio Profits that paradise? Unfortunately, it is far from paradise and I am going to prove it to you in the Rio Profits Scam Review below. So therefore, let’s dig right into the details. 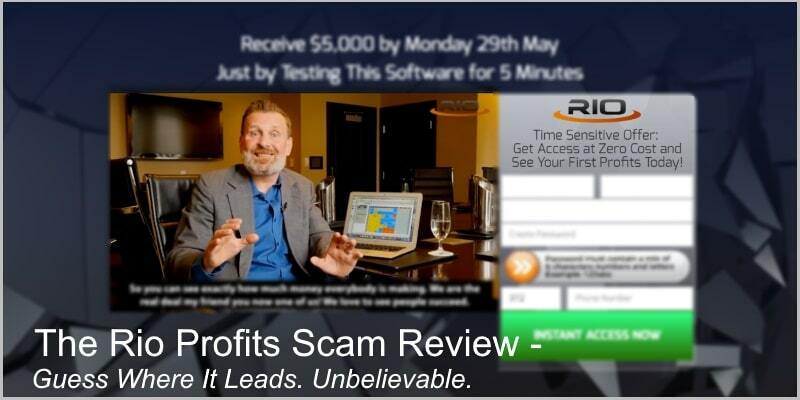 Verdict: Rio Profits Software is a scam and typical rip off scheme. Stay away! Better ALTERNATIVE to the Rio Profits That Will Help You Make $1200+ a month Online. And these testimonials are proof. Why not give a whirl right now? You’re certainly not committed to anything. The story of Andrew Reynolds and his “Rio Profits Software” is another Cinderella style of a fairy tale of a poor fellow who suddenly became a millionaire. Andrew Reynolds, the alleged founder of the Rio Profits trading software. Long story short, young Andrew grew up in Chicago. His parents were unemployed and Andrew himself pretty much uneducated. That’s why working in fast food restaurants was his only legit way to survive. 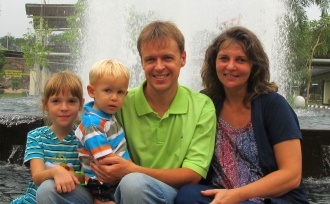 When Andrew became 19, he moved over to New York where he became a janitor in Goldman Sachs. And, as you might already suspect, there he befriended with the top-notch Wall Street shark Alexandro Mendez (fake character) who taught him to trade. In his first year of trading, Andrew had already made over $1.7 million. 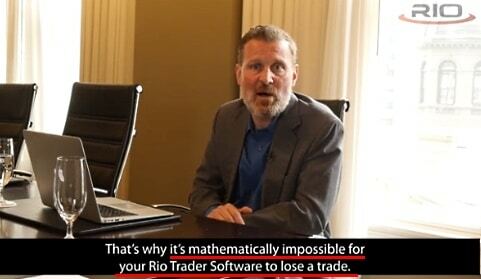 What is the Rio Profits Software? Rio Profits Software (or Rio Dream Maker Software) is a binary options trading robot which has both, manual and full auto pilot modes. 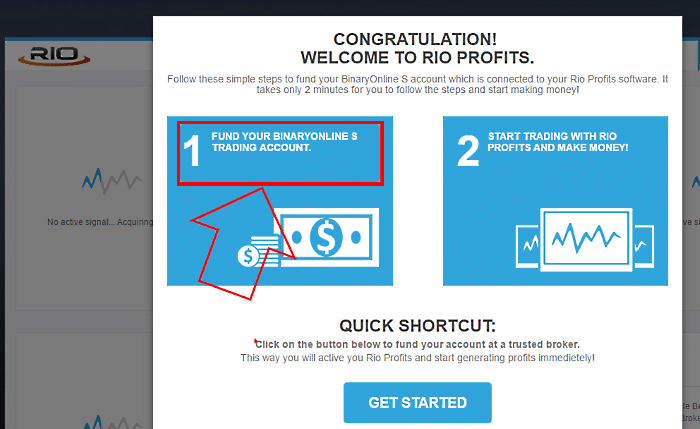 How is Rio Profits different from other binary options trading bots? Well, according to Andrew Reynolds, his software has quite a few unique features. Like the software has 100% winning rate and therefore you will never lose money by trading with it. To be honest, claims like these are so ridiculous that I don’t want to waste my time on crap like that. How to Make Money With the Rio Profits Software? The Rio Profits has (built-in) 100% auto pilot mode which does all the trading for you. And because it has 100% winning rate, you will never lose a trade. However, because the opportunity lasts only 2 days (yesterday and today) you must hurry and act at once. Waitaminute! Don’t hurry to sign up yet. There’s more to come. Please keep reading and I will show you exactly what an ugly rip off scheme it is. Why Does Andrew Reynolds Do It? He makes money when you make money. Every time you will make $4250, he will also make $4250. He wants to give back to the world. As you will see below, he makes money when you lose money. That’s how these rip off schemes work. His money comes from your pockets (More about that later). If you can write, here is an amazing opportunity on how you, by writing, can create your own passive income stream online (which will serve you for years). Don’t wait for the right moment to take the bull by the horns. It never arrives. Start whenever. Now. What Is the Rio Dream Maker Survey? 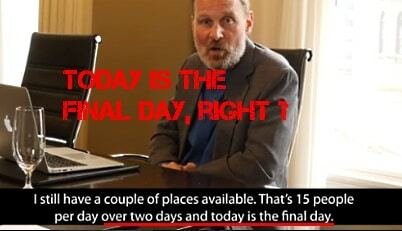 According to Andrew Reynolds, his Rio Dream Maker Survey is, in fact, a narrow time frame (two days only) where 15 people per day over two days can sign up and get the Rio Profits Software for free. The software would generate at least $4,250 a day for these selected 30 people. However, because Andrew Reynolds gives his Rio Profits for free, he asks you to give some anonymous feedback. It means, you will be asked to fill a simple 3-minute long survey at the end of your 60 days test run. But only if, by the end of your 60-day run the software has made you at least $250,000. How easy it was to download the software? Plus, you are asked to provide a two paragraph testimonial about Rio Profits Software. These promises, if true, are nothing short of a miracle, right? Anyway, now that you know what the program claims to be, who the alleged founder is and what he promises to you, I am going to rip the whole thing apart. 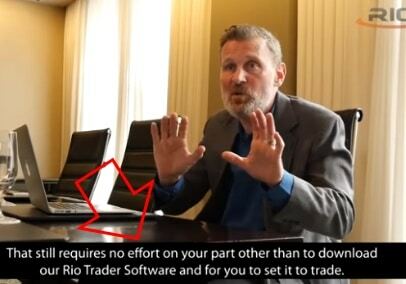 I am going to prove that it Rio Profits Software is a scam – designed to turn you into a milking cow that must be milked to the last drop before disposing. To be honest, I have reviewed quite a number of binary options scams and they always follow the same pattern. The shadow figures behind the scene don’t reveals their true identity. They only thing they give you are some fake characters played by actors (like this Andrew Reynolds here). I’ve researched the Internet and could not find any traces of that Wall Street shark called Andrew Reynolds. Neither I could find traces of his mentor Alexandro Mendez (allegedly way bigger name in Wall Street). Like Jeku Pertu, Todd Salerno, Michael Watson, Mark Bromovich, Timothy Hollingdale, and many others fake founders of Binary Option trading software, Andrew Reynolds is fake as well. So you see, Tesler App is somewhat older of the two. Other than that, they are pretty much identical. Their narratives and alleged founders are different but the of these two websites are identical. You can find exactly the same set of testimonials (names, profits, images, etc.) from Rio Profits and Tesler App’s websites. Ridiculous. Let me show that they’re fake. First, let’s take the very first image (pictured above – the young lady with glasses). This image is taken from the Longevity Photography blog. It has nothing to do with Rio Profits (or Tesler). Steven Abrahams is a fake character and an alleged founder of Tesler App, not Rio Profits. You can find Rio Profits video in Youtube. It’s uploaded on May 17, 2017. 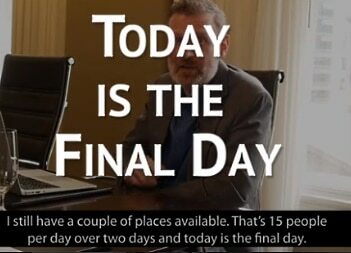 Thus, it’s like every day is the last day. These con-artists are lying through their teeth. The image is freely downloadable from here. After clicking on the AppStore or GooglePlay buttons, you will be sent to Rio Profits signup page. The 100% free software is just a bite – designed to lure you into subscribing with them. However, if you did not know, the free binary options trading robot is not enough to start trading. First you need to open a trading account with some Binary Options broker. Second, you must fund that account so that the robot could start trading. The required minimum amount is $250. However, once you have done that, expect to pay way bigger sums. Because that’s how these online criminals fill their coffers – by milking unaware day traders. You will be going to pay until it hurts. The broker – no, they are not regulated, honest-to-God brokers. Instead, they are some shady, unregulated offshore brokers which means, once you cannot withdraw your deposits and you have no-one to file a complaint either. …My verdict: The Rio Profits system is nothing but a dirty online SCAM! Designed to rip you off. Stay away!!! Why not make it the very next thing you do? Now that you have read the Rio Profits Scam Review, what do you think about it? Is the Rio Profits a scam or legit? Please leave your thoughts into the comment section below.